A parking lot–free day by the ocean? Beautiful. Fletcher Cove is just a few blocks from the train station. 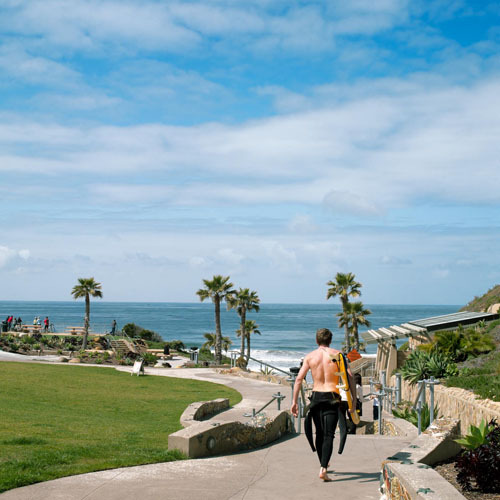 The small, protected inlet along Solana Beach’s main strand is great for swimming or surfing, plus there’s a park just up the hill from the water. 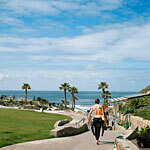 For more secluded sunning, unroll a towel at nearby Del Mar Shores, Seascape Surf, or Tide Beach Park.